1. 肖辉盛，李焱. 在基础胰岛素治疗血糖控制不佳的亚洲 2 型糖尿病患者中评估利司那肽的疗效和安全性: GetGoal-L-C 随机试验 [J]. 中华内分泌代谢杂志, 2018, 34(4):344-348. 2. Wenying Yang, Kyungwan Min, et al. 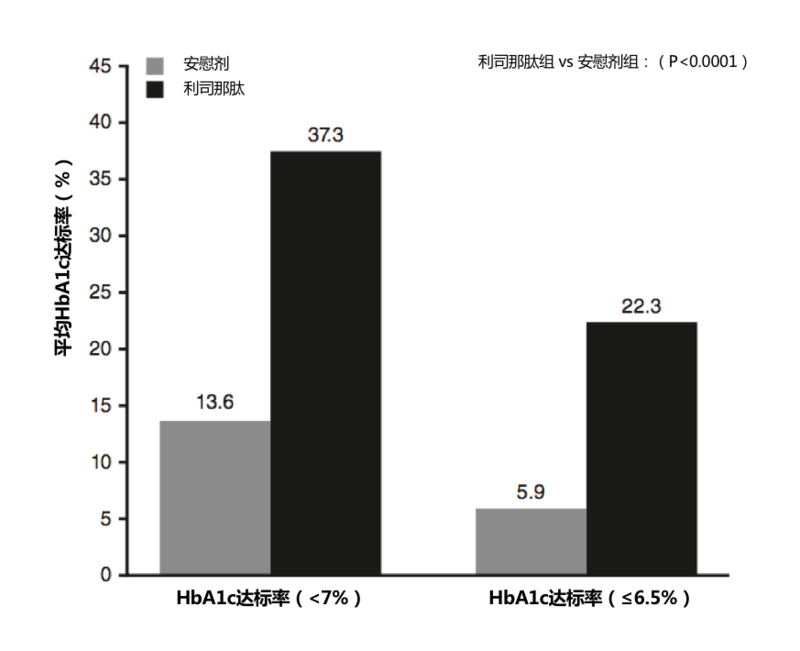 Efficacy and safety of lixisenatide in a predominantly Asian population with type 2 diabetes insufficiently controlled with basal insulin: The GetGoal-L-C randomized trial[J]. Diabetes Obes Metab. 2018;20:335–343. 3. 蔡舒婷. 亚洲 2 型糖尿病患者起始基础胰岛素之后联合利司那肽强化治疗 [J]. 中华内分泌代谢杂志, 2017, 33(9). 4. Juan Pablo Frias. Basal insulin and GLP-1 receptor agonists: A complementary approach to achievement of glycemic control[J]. Chin J Endocrinol Metab, 2018, 34: 274-280. 5. 纪立农, 陆菊明, 朱大龙, 等. 成人 2 型糖尿病基础胰岛素临床应用中国专家指导建议 [J]. 中国糖尿病杂志, 2017, 25(1):2-9. 6. 母义明, 纪立农, 杨文英, 等. 中国 2 型糖尿病患者餐后高血糖管理专家共识 [J]. 药品评价, 2016, 13(7):5-12. 7. American Diabetes Association. Standards of medical care in diabetes-2019[J]. Diabetes Care, 2019 Jan;42(suppl 1):S1-S2. 8. Kapitza C, Forst T, Coester H V ,et al. 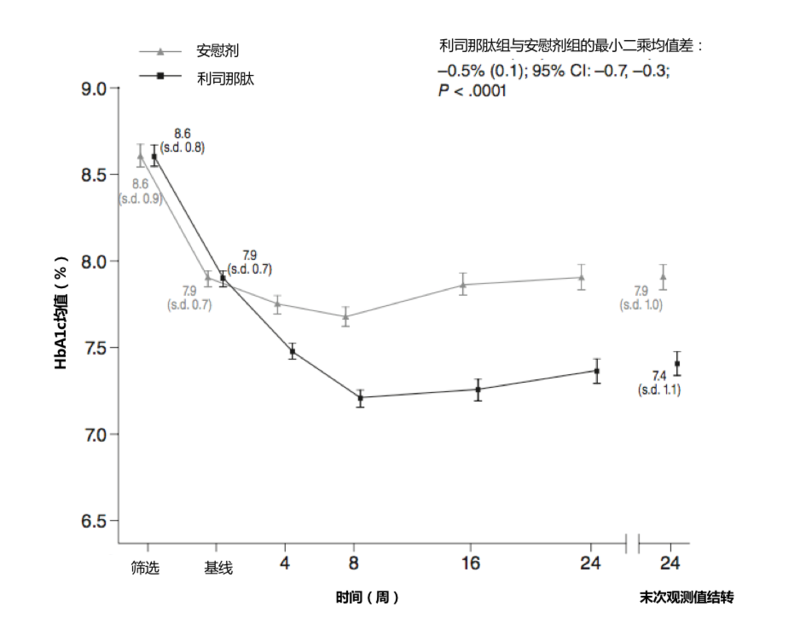 Pharmacodynamic characteristics of lixisenatide once daily versus liraglutide once daily in patients with type 2 diabetes insufficiently controlled on metformin[J]. Diabetes Obesity & Metabolism, 2013, 15(7):642-649.